Join us for our first Kids Club of 2019 on January 9th. Rocknoceros will be performing this month in the At Home Court at 10am. Bring the kids for jumping and moving to the music of Rocknocero’s! 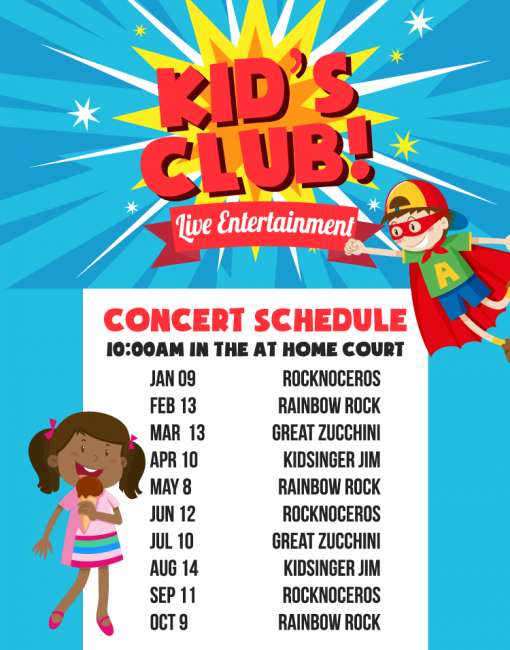 *Kids Club is the second Wednesday of each month January thru October at 10am in the At Home Court.